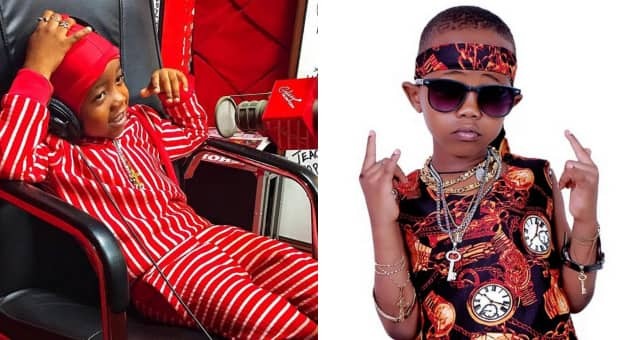 Ugandan rapper Fresh Kid’s parents must be very happy right now after their son landed a full primary school scholarship barely a fortnight after he was threatened with a jail term for not going to school. TUKO.co.ke has learnt Fresh Kid on Friday, April 12, had a meeting with one of Uganda’s richest businessmen, Rajiv Ruparelia, who handed him the full scholarship to help in his education. In a long post seen by this writer, the businessman held the scholarship was courtesy of his foundation, Ruparelia Foundation, and is set to take the young rapper through his primary school education at the Kampala Parent’s School, which happens to be one of the leading high end Primary Schools in Uganda. “Today I met a young man called Fresh Kid. I was moved by his ambition being only seven-years old. I would love to see him become a guide and inspiration to many young people out there hence, Ruparelia Foundation is presenting this young man with a full scholarship from the Ruparelia Foundation to go to Kampala Parents School,” he wrote on Facebook. The latest development came just a week after the rapper was embattled in ”heated” war with Uganda’s Minister for Youth and Children Affairs, Florence Nakiwala Kiyingi who barred him from performing.